Portugal's flag of nautical woven. 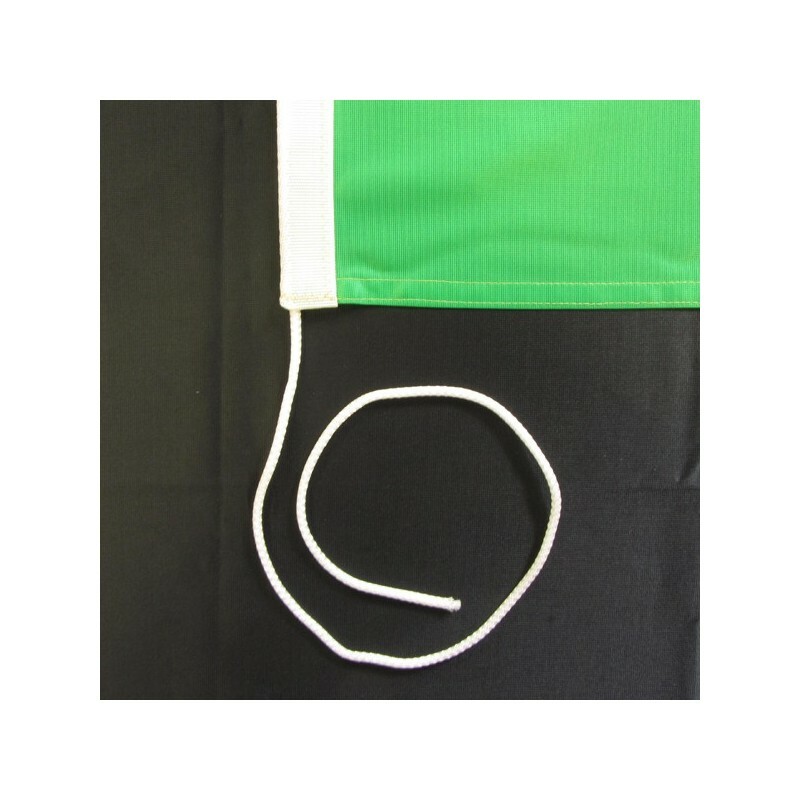 Flag of Portugal of nautical polyester, for external use only, with digital print. It was adopted on the 30th of June 1911. It has got a rectangular mold, green and red. At the core there is the emblem, which is constituted of an armillary sphere, with the portuguese shield. 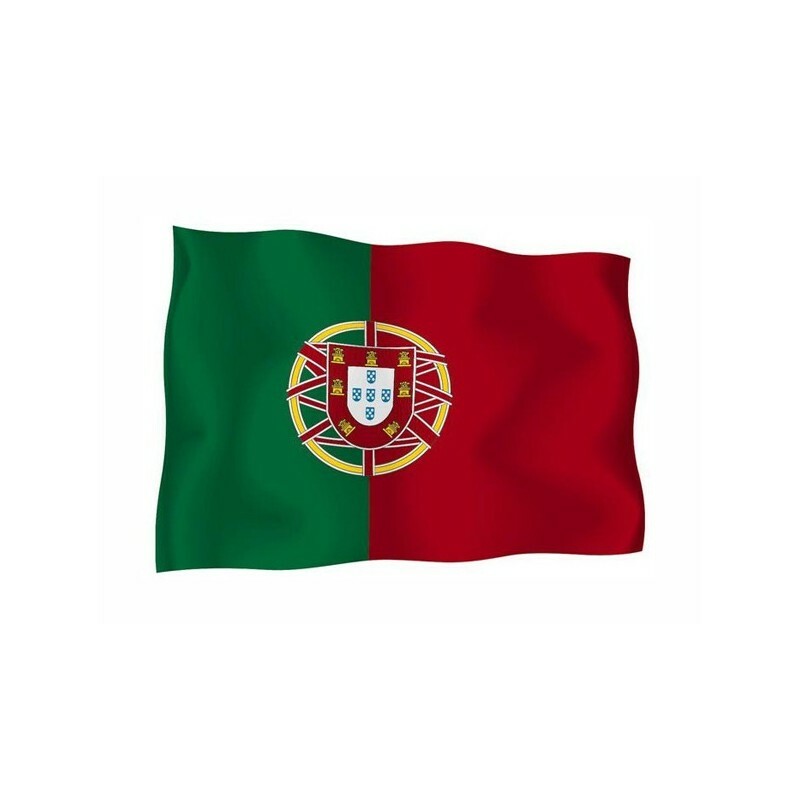 From 1933 to 1974, during the Estado Novo, it was believed that the green represented the portuguese woods and the red the blood which had been poured during the wars. This is the most accepted theory. Some theories supported that the green symbolizes the color of the deep sea which was sailed for the first time by the portuguese sailors and the red symbolizes the dawn and the descent. According to a Republican_Socialist idea, it is thought that the green and the red sumbolize the iberian federalism, which saw the political union of Portugal and Spain. 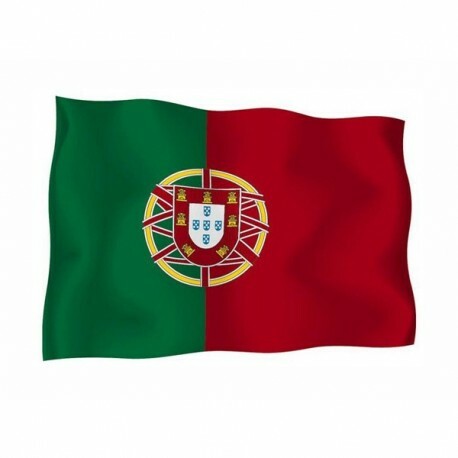 The castles which are represented on the flag are the nine which had been defeated in 1249 from Portugal. The 5 white dots in the 5 blue shields are related to a legend about the King Alfonso Henriques. The legend narrates that, while the King was praying, he saw a vision of Jesus on the cross. He won the fight and, as a thanks, he incorporated the five shields.